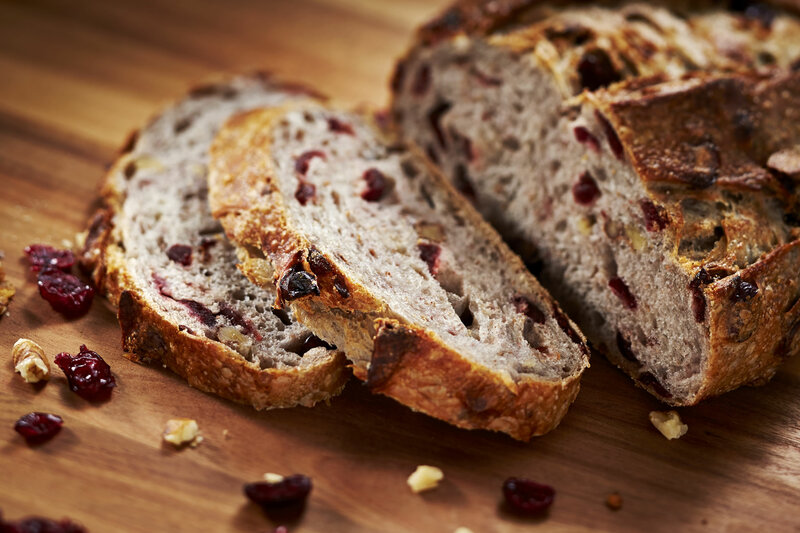 This festive and rustic loaf is bursting with sweetened dried cranberries and studded with walnuts. It has a crispy crust and a soft interior crumb. Delicious for the holidays, or anytime (Kosher)!